LONDON -- Jaguar Land Rover will shut its UK plants starting Monday for five days as a result of Brexit. The move will add to shutdowns by other automakers that leave at least half the country's car production offline in what could be a pivotal week for Britain's divorce from the European Union. The move by JLR, to prepare for any disruption resulting from Brexit, was taken a few months ago at a time when the departure date -- since extended to April 12 -- was March 29. 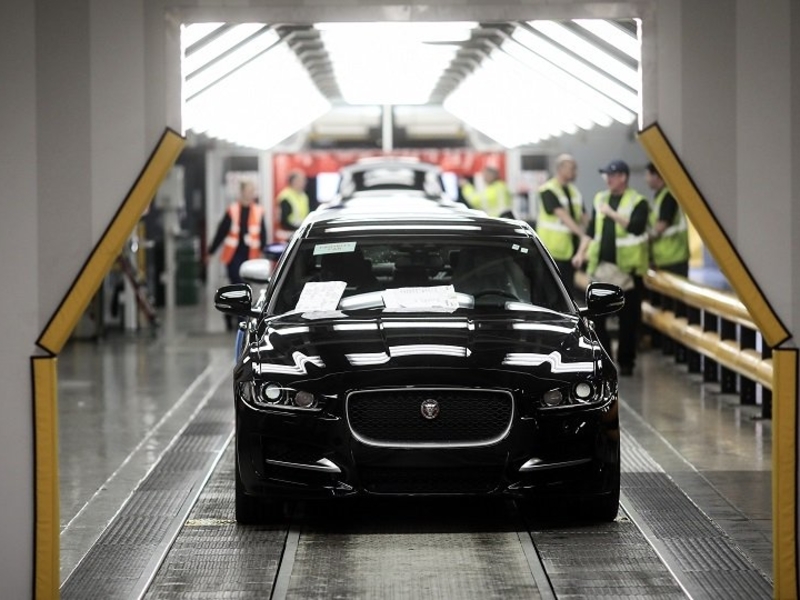 JLR builds the Jaguar F-Type, XE, XF and XJ models at its Castle Bromwich plant, while the Land Rover Discovery and Evoque models are built in Halewood, according to data from Automotive News Europe's Assembly Plant Map. The Jaguar F-Pace is built alongside the Land Rover Discovery and several Range Rover models at the automaker's Solihull plant. BMW's UK Mini and Rolls-Royce plants are also closed this week, as is PSA Group's Vauxhall factory, which brought forward summer shutdowns to April. Together JLR, Mini, Rolls-Royce and Vauxhall built more than 750,000 of Britain's 1.52 million cars last year. Shutdowns are generally organized far in advance, so employee holidays can be scheduled, and suppliers can adjust volumes, making them hard to reschedule. At least 25 percent of Britain's automotive engine capacity is also closed as BMW's Hams Hall factory in central England continues a four-week shutdown while JLR's Wolverhampton site stops production for the week as part of Brexit preparations. Automakers face a number of possible risks under a disorderly Brexit, including delays to the supply of ports and finished models, new customs bureaucracy, the need to re-certify models and an up to 10 percent tariff on finished vehicles. JLR already started cutting output last year as it faces declining sales, partly as customers shun diesel vehicles. Overwhelmingly foreign-owned, the Britain-based car industry has become increasingly frustrated as a stable and attractive investment environment becomes mired in a deep political crisis, risking free and frictionless trade.